MIXED BLESSING: Bringing Lazarus back to life unleashed the zombie epidemic, research suggests. Lazarus, the man Jesus Christ brought back from the dead, may have been Patient Zero in the zombie apocalypse. That is the shocking claim of an infectious disease specialist who contends that in performing His most astounding miracle, the Messiah inadvertently sparked the epidemic. Dr. Godfrey P. Stockworthy and his team used computer analysis to chart every recorded zombie outbreak of the past 2,000 years and created a digital map. 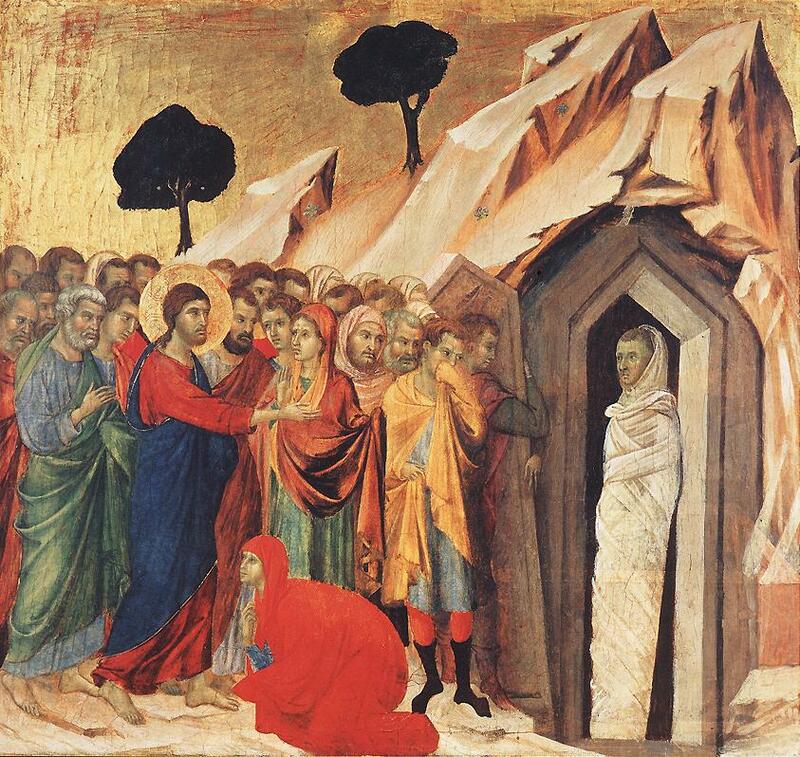 Chapter 11 of the Gospel According to St. John states that Jesus brought Lazarus back to life after the villager lay rotting in a tomb for four days. Little is known of what became of Lazarus after that, other than that the Bible says fearful chief priests considered putting him down. According to Eastern Orthodox tradition, he was driven from Judea and ended up in Cyprus—incidentally the site of one of the earliest mentions of “the walking death,” as ancient historians called the zombie plague. Another account says that terrified townsfolk set him out to sea in a boat without oars and that years later he was cornered in a cave in Marseilles, France, and beheaded. Contradicting that, a 16th century folktale relates how Rabbi Loew, the intrepid holy man who also took down the Golem of Prague, smote him in the forehead with a silver spike engraved with Hebrew lettering. “Whichever account you believe, it’s noteworthy that in all of them, Lazarus could only be killed permanently by going for the head, just as with modern-day zombies,” Dr. Stockworthy observes. 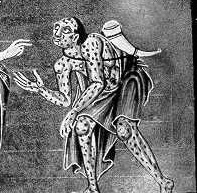 Medieval zombies were often mistaken for lepers. Researchers know now that many cases of what were mistakenly called “lepers” in the Dark Ages and Medieval times were in fact zombies, whose decaying body parts and shambling gait struck fear into the hearts of peasants all over Europe. And historians are in almost unanimous agreement that the Holy Land was ground zero for what has become a widening epidemic. But Dr. Stockworthy is the first expert to pinpoint Lazarus of Bethany as the world’s first zombie. The study, released April 15 on the eve of Easter, was greeted with skepticism by Bible scholars. 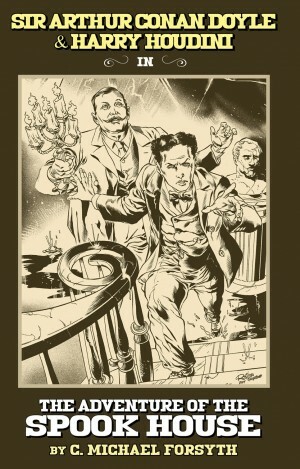 Houdini and Conan Doyle investigate a bizarre disappearance in new book. My novel Sir Arthur Conan Doyle & Harry Houdini in the Adventure of the Spook House is continuing to get rave reviews from fans of Arthur Conan Doyle, creator of Sherlock Holmes. The spanking new book trailer is now up on YouTube. 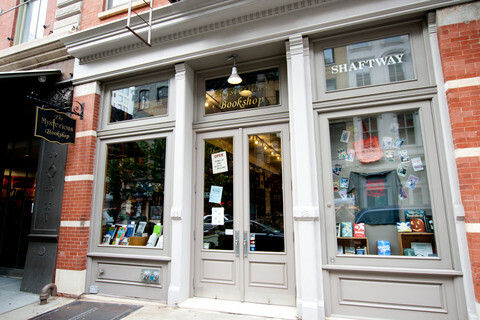 Independent bookstores need our support! 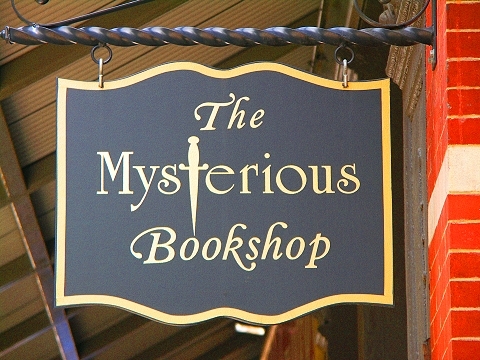 The Mysterious Bookshop has been a fixture in New York for over 30 years. PLUS, TO SEE EXCITING NEW VERSION OF THE BOOK TRAILER FOR HOUR OF THE BEAST, CLICK HERE! Book trailer for Hour of the Beast. To check out the critically acclaimed horror novel, click HERE. « No More Mr. Nice Guy! “AXE GIANT: THE WRATH OF PAUL BUNYAN” Takes a Whack at Tall Tale. SCIENTISTS FIND PREHISTORIC "WOLF MAN" SKELETON.